In Germany the Foundation offers diverse forums, mostly for young and talented people, to exchange of information and experience in present-day contexts. Its main focus is to promote a greater understanding of politics and to inspire citizens to take part in political processes. FNF aims at strengthening the citizen’s sense of responsibility by promoting political knowledge, political proficiency, and skills training. Since 1973, the Foundation gives out scholarships to university students who share our liberal values. Currently more than 800 students from Germany and abroad hold a scholarship. In addition to financial support, they organize and take part in seminars, excursions and skill courses. You can find the latest information here (in German). As of January 1st, 2001, the Friedrich-Naumann-Foundation has restructured its educational program. Apart from extended programs at our education centres, we have now placed a stronger emphasis on offering one-day programs and evening events in different regions. These are offered in co-operation with related liberal foundations in the various states of Germany. You can find more detailed information about our respective regional programs, as well programs of our partners, here (in German). The Foundation has a rich electronic library of publications on various topics. You can find the current publications, arranged by topics here (in German). The Foundation organizes a wide spectrum of events. 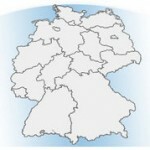 Here you can find a list of events, arranged by topics of interest (in German). Please visit here our Virtual Academy and discover a wealth of resources (in German). © 2019 Copyright Friedrich Naumann Foundation for Freedom. All Rights reserved.